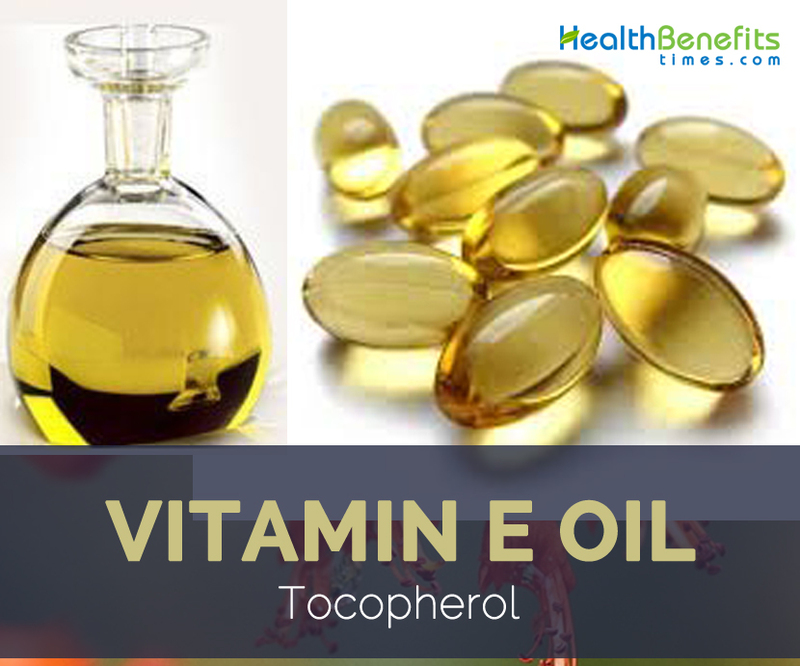 Vitamin E oil is an extracted blend of antioxidant compounds called tocopherols and tocotrienols. These compounds are proven to speed the regeneration of cells and also help damaged cells heal faster. Vitamin E can also block the formation of free radicals, destructive molecules that lead to cell damage and can contribute to chronic diseases and the appearance of aging. Vitamin E oil is available as a concentrated liquid, a liquid gel cap, or as an ingredient in skin care products like sunscreen or moisturizer. Vitamin E oil can be taken orally in pill form or applied topically to the skin in liquid form. Vitamin E gel caps can also be cut open to release the liquid inside, which can then be applied directly to the skin for maximum strength. Many people choose to take vitamin E both internally and externally to maximize its antioxidant properties. Vitamin E helps to makes the nerves stronger and helps in nourishing your skin from within. Simply use it onto the face for that soft, radiant skin you always wanted. Vitamin E is an oil-soluble nutrient and is hence heavier than water-soluble products. It helps to restore the lost moisture, and this is why it works best for dry and damaged skin. You can mix a few drops of vitamin E oil with your night moisturizing lotion and apply it on your body before going to bed. It is important to protect your skin from harmful UV rays particularly during the day time. Every day, exposure to sun’s harmful radiations harm your skin from cellular level making the skin look older, wrinkled, and spotted. Vitamin E oil is known for restoring skin naturally. The moisturizing benefits of vitamin E oil protect the skin from the sun and sun burns. In fact, Stretch marks are a kind of scar resulting from tearing in the dermis. This happens because of strain within the dermis. Vitamin E is great for diminishing stretch marks. It penetrates down to the dermis and starts healing the scar. Within a few weeks, the depression fills up and the scar diminishes in appearance. Signs of ageing such as wrinkles and fine lines are actually enemy of everyone as we grow old. Vitamin E oil is a wonderful solution; it helps to improve collagen production and also blocks free-radical damage which is often the main cause of the appearance of wrinkles. Dark circles usually appear under your eyes. Regular use of vitamin E oil helps to eliminate this problem. The use of this oil on the bottom will eliminate black eyes and prevents the appearance of your under-eye swelling. Vitamin E oil is quite effective in treating minor burns and injuries like scrapes, cuts. Since the oil has curative powers, it can heal wounds caused by minor burns. You need to pour some drops of this oil on a cotton ball and then slightly rub it on your burns. Make sure the burn area has cooled down prior to applying the oil. Do this remedy for few days until our burns have totally healed. Chapped lips are common problems during winters and no matter how much lip balm we use, it isn’t enough. It is due to the harsh weather that takes away all the moisture. But using vitamin E oil helps prevent them getting too chapped as it seals the moisture and also prevents further damage. Wrinkles come from age, free radical damage, improper skin care and poor habits like smoking and drinking alcohol in excess. Vitamin E oil prevents the formation of wrinkles by blocking free radical damage. It treats wrinkles by boosting collagen production, a connective tissue that keeps skin elastic. Vitamin E oil also treats wrinkles by supporting new skin cell growth and speeding up cell regeneration. People who suffer from psoriasis often get relief by applying Vitamin E. Vitamin E oil should be applied to psoriasis lesions. Since Vitamin E is a potent skin healer, these scaly, irritated skin patches start to heal faster. Regular use of vitamin E oil will fade and gradually disappears the Acne spots. Vitamin E will increase the nutrients in your face so acne scars will fade little by little. Vitamin E supports the immune system and speeds skin healing; it’s the perfect natural remedy for cold sores. Simply apply vitamin E oil every few hours as soon as you notice a cold sore begin to form. It should be able to prevent or speed along the process. Antioxidants in this magic oil are able to provide improvements to damaged skin. Additionally antioxidants also help against skin care hyperpigmentated. If you experience this, instantly apply this oil on a regular basis. Adding a few drops of Vitamin E oil to a regular shampoo turns into a more powerful anti-tangle solution. This is also experimented by many shampoo manufacturers. The trick of adding oil to a shampoo routine seems odd, but it sure does make the hair silky. Combing becomes much easier and there are way fewer hairs falling out in combing. Vitamin E oil also provides Vitamin E to scalp. This keeps the scalp skin healthy and well moisturized. It can also prevent dandruff. Vitamin E also adds luster to hair, making them look shiny. Without nutrition, hair looks brittle and lifeless. Regular use of Vitamin E oil makes hair bright and untangled. Split ends, as well as other damages resulted from constant blow-drying, coloring, and curling. They can be treated with the power of vitamin E oil. Vitamin E oil helps to smoothen and strengthen the hair cuticles, thus reducing cases of breakage and splitting. All things that you need to do are to mix the vitamin E, olive, hemp, jojoba, coconut and hemp oils to create an oil mixture. Apply this oil mixture on your split ends. Let it rest for several hours before rinsing the hair with your shampoo. Repeat this remedy 3 times a week to get the best result in your hair texture. Vitamin E oil helps to prevent hair from graying prematurely because of its antioxidant ability. If you have noticed your hair graying, then use vitamin E oil regularly for your hair’s health than dying it. Follicles need nourishment to get strong and healthy hair and vitamin E oil does just that. It not just improves blood circulation when massaged on the scalp; it also promotes hair health and is good for improving the condition of dry and brittle hair. Vitamin E oil is quite beneficial for improving the physical endurance. It helps to increase the energy and decrease the oxidative stress levels on the muscles after exercising. Apart from that it also helps in improving the muscle strength. It decreases fatigue by boosting blood circulation, strengthens the capillary walls and nourishes the cells. Vitamin E oil help to reduce the risk of macular degeneration related to age, which is a cause of blindness. Consume vitamin C, zinc and beta carotene so that vitamin E can be effective for vision. The study has also been found that including vitamin A and E daily can improve vision in people who underwent laser eye surgery. This is actually one out of the best vitamin E oil benefits that you should know and follow for good, particularly people who get Alzheimer’s disease. The accumulation of bad cholesterol makes the heart pump harder, thus increasing heart attack risk. Vitamin E oil reduces the effects of bad cholesterol by preventing it from lining up the arteries. Add vitamin E oil to your daily diet to support the heart, which makes sure a healthy and long life. Vitamin E oil helps to fight off free radicals, which damage cells and cause mutation. It also calms inflammation, which is another function that may help prevent skin cancer. These are alternatives to the Vitamin E oil. Many natural oils are rich in Vitamin E. This makes them good for use in a skin care regimen. Vitamin E is both a nutrient and antioxidant, and the oil in its purest form is extremely versatile. Known as tocopherol, it has a light brown/reddish hue and can be found in many skincare products. Vitamin E oil is one of the ingredients that can be used on the face, body, hair, lips, nails, etc. It has multiple benefits and contains a very high dose of antioxidants. 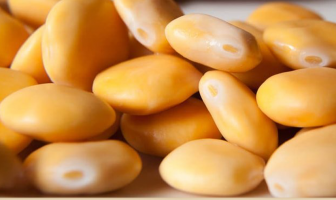 These nourish our skin and hair and make them stay beautiful for a longer time. The regular use of vitamin E oil can therefore ward off various beauty problems as well. Warm some vitamin E oil and apply it on your scalp and hair to strengthen the hair. Take one to four drops of Vitamin E Oil and massage gently into sunburn skin, stretch marks, surface scars, blemishes, wrinkles or rough dry skin until the oil is fully absorbed. Regular use has been shown to reduce the risk of sunburn and skin cancer, as well as mitigate the appearance of aging. Vitamin E oil can be used to heal dry or cracked cuticles and strengthen nails. Vitamin E oil can be used to reduce scarring after surgery or to reduce the size and look of older scars. Mix vitamin E oil and lime juice together and apply directly to your face to get rid of sun burn. Mix olive oil, coconut oil and Vitamin E oil and apply directly to your hair to treat dry brittle hair. Massage your hair with vitamin E oil to get lustrous hair. Combine 1 tbsp each of Vitamin E oil, Olive oil and Coconut oil and apply on your hair to reduce premature graying of hair. Massage regularly with small amount of Vitamin E oil to reduce stretch marks. Skin reactions, including inflammation or itching, have been reported with vitamin E applied to the skin. Breakouts can occur due to the additional moisture on the skin. Do not use Vitamin E oil internally. People who have bleeding disorders too should avoid it, as Vitamin E is anticoagulant. Some people may even be allergic to Vitamin E.
Avoid using or taking vitamin E for two weeks before a scheduled surgery. Excessive amounts of vitamin E oil may not be safe in the early stages of pregnancy. To lessen the change of a bad reaction, get natural, organic Vitamin E oil. Vitamin E oil is found in many creams and lotions, most commonly in sunscreens, anti-aging moisturizers and skin brighteners. The recommended daily dose for adults is at least 15 mg a day.